was chosen as the head priest and the temple was consecrated in 1855. Within the year this priest died and his responsibility passed to his younger brother, Ramakrishna, who over the next thirty years would bring great fame to the Dakshineswar temple. with a rare form of the love of God known in Hinduism as maha-bhava. Worshipping in front of the statue of Kali, Ramakrishna would be overcome with such ecstatic love for the deity that he would fall to the ground and, immersed in spiritual trance, lose all consciousness of the external world. These experiences of God-intoxication became so frequent that he was relieved of his duties as temple priest but allowed to continue living within the temple compound. During the next twelve years Ramakrishna would journey ever deeper into this passionate and absolute love of the divine. His practice was to express such intense devotion to particular deities that they would physically manifest to him and then merge into his being. The various forms of god and goddess such as Shiva, Kali, Radha-Krishna, Sita-Rama, Christ and Mohammed frequently appeared to him and his fame as an avatar, or divine incarnation, rapidly spread throughout India. 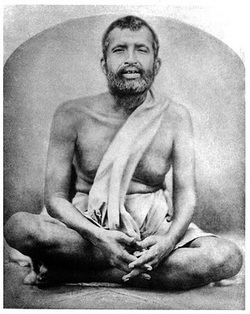 Ramakrishna died in 1886 at the age of fifty but his life, his intense spiritual practices, and the temple of Kali where many of his ecstatic trances occurred continued to attract pilgrims from all over India and the world. 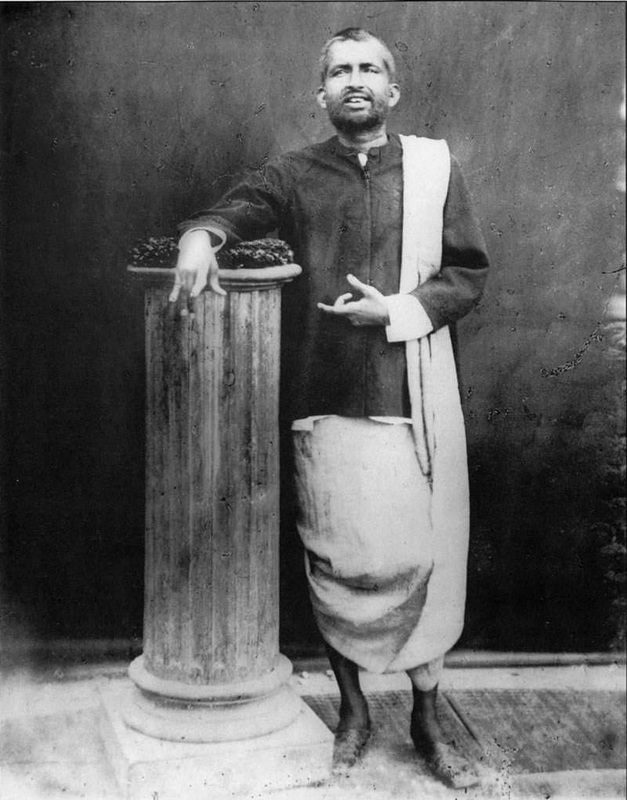 While Ramakrishna grew up and lived within the domain of Hinduism, his experience of the divine went far beyond the bounds of that, or any other, religion. Ramakrishna fully realized the infinite and all-inclusive nature of the divine. He was a conduit for divinity into the human world and the presence of that divinity may still be clearly experienced at the Kali temple of Dakshineswar. Tadapi tava gunanamisa param na yati." which means: "Oh Lord, if the blue mountian be the ink, the ocean the ink-pot, the biggest branch of the heavenly tree be the pen, the earth the writing leaf and taking these if Sarada, the goddess of learning, writes for eternity, even then the limit of Your virtues will not be reached." prevented others from removing Sri Ramakrishna forcibly from the Siva temple. Mathur had already formed a high opinion about Sri Ramakrishna by that time. When Thakur came down to normal consciousness and saw the crowd, he asked Mathur whether he had done anything wrong. Mathur saluted him and said, "No, Ba Ba (father), you were reciting a hymn: I stood here lest some one should disturb you unthinkingly." Thus Mathur Babu protected and served Thakur in all possible ways for fourteen years like Nandi who eternally serves Lord Siva. Truly Mathur Babu and Hriday were to Sri Ramakrishna, what Nandi and Bhringi are to Siva. At another time, Mathur Babu actually saw Sri Ramakrishna as Siva and Kali alternately, as Thakur was pacing up and down.